The beginning of the spring semester on college campuses and the opening of the Texas legislative session offer a great opportunity to share the remarkable success story that is the Tuition Equalization Grant (TEG) program. I join my colleagues from institutions within the Independent Colleges and Universities of Texas (ICUT) in expressing our sincerest appreciation to the Texas Legislature for its ongoing support of this vital program, which helps lower-income and first-generation students afford higher education at private universities like Baylor. We look forward to ongoing conversations with our elected state officials over the months ahead about the importance of continuing this program and reversing the funding reductions that have so dramatically impacted students and their families. Why? Because this program has proven its value to Texans for decades. Established in 1971 with guiding input from then-Baylor President Abner McCall, the TEG program has helped tens of thousands of bright, deserving students pursue their educational dreams in private universities across our state. The primary beneficiaries of the TEG, of course, are the young men and women of Texas. The average family income of TEG recipients is about $47,188, according to a study by ICUT. In 2017, almost 60 percent of TEG recipients also received Pell grants. Receiving tuition equalization grants can be the difference-maker to students who otherwise may not be able to pursue their dreams of attending a private institution. Students with the greatest financial needs may receive up to about $5,000 per year through the program. 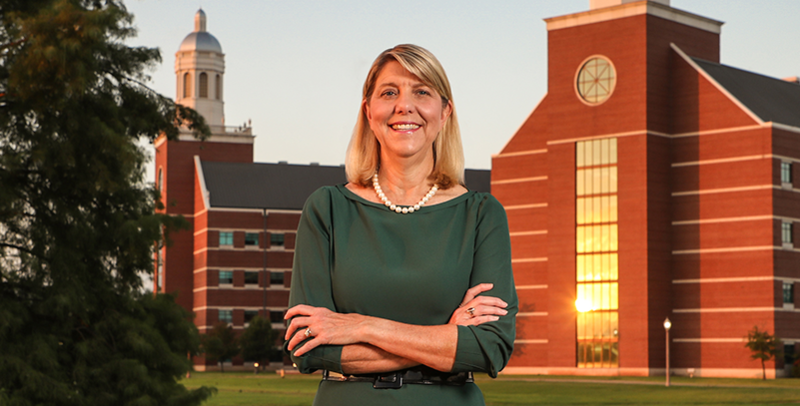 These grants helped make college more affordable for 2,514 Baylor students and more than 27,000 students statewide who received them in the most recent academic year. The TEG continues to be a win-win for the state of Texas. In addition to providing valuable assistance to students, it is a boon to taxpayers. Full-time students attending state institutions are supported by an average of $6,728 in state funds, regardless of financial need. According to recent figures by ICUT, the $3,508 average tuition equalization grant saved the state about 48 percent of the estimated taxpayer appropriation per higher education student. Multiplying the more than $3,000 in cost savings by the thousands of TEG-supported students results in an estimated $92.2 million cost benefit to the state while also easing growth pains at some of the state’s overcrowded campuses. The numbers alone tell a compelling story — providing students with tuition equalization grants is a smart investment for the state. Consider also that state officials have acknowledged Texas cannot achieve the goal of its 60x30TX plan — which calls for 60 percent of Texans aged 25-34 to hold a certificate or degree by 2030 — without the assistance of private institutions. It’s going to take all of us in the state, public and private institutions alike, working together to reach this goal. Providing assistance at the state level for students to access private education, particularly those in underserved populations, will give Texas the best opportunity for success. The Texas Higher Education Coordinating Board has recommended a modest increase in TEG funds in its legislative appropriations request, which would serve an additional 760 TEG recipients in the next biennium. On behalf of ICUT institutions, I thank the Legislature for its four decades of support of the TEG program and encourage the members to accept this recommendation. The TEG program makes financial sense for Texas, and it opens doors to the state’s students that would otherwise remain closed. We encourage lawmakers to serve tomorrow’s leaders and the State of Texas by embracing the TEG program and strengthening its power to change lives.